The National Hajj Commission of Nigeria (NAHCON) has hosted Chief Executives of Umrah and Hajj Licenced Tour Operators to an operational meeting to brainstorm on preparations for 2019 Hajj. The Head, Public Affairs Division of NAHCON, Mrs Fatima Usara, made the disclosure in a statement on Friday in Abuja. 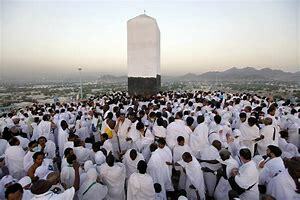 Usara said that the Executive Chairman of NAHCON, Abdullahi Muhammad, disclosed that the meeting offered an opportunity for the commission and tour operators to address important issues necessary for the success of the 2019 hajj. She said the chairman was particular on the manner in which some of the tour operators discharged their responsibilities to the clients. their customers and to enhance the country’s image. She said the chairman promised that government was willing to help strengthen those ventures pursuing their responsibilities with sincerity of purpose. “He opined that documenting every contract agreement properly would be instrumental to diffusing tension between the topic operators and their clienteles. “The Commissioner in chatge Operations of NAHCON, Alhaji Modibbo Saleh, underscored the importance of the operators to render quality services to their customers. “He urged the operators to design best ways to carry out their obligations to their customers. “Saleh stated that the commission was ready to listen to both sides in times of contractual disputes and to do justice as an arbitrator,” she said.